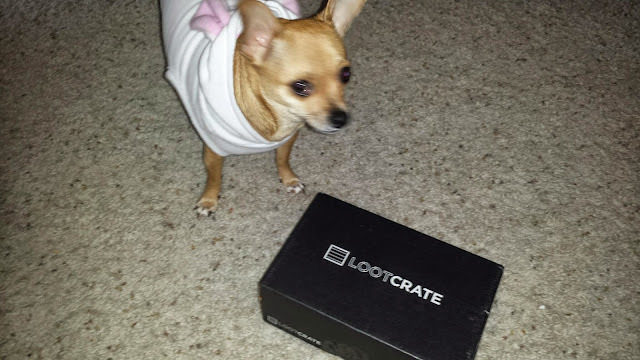 Loot Crate is here! Spoilers after break. If you haven't gotten your April 2015 Fantasy Crate. 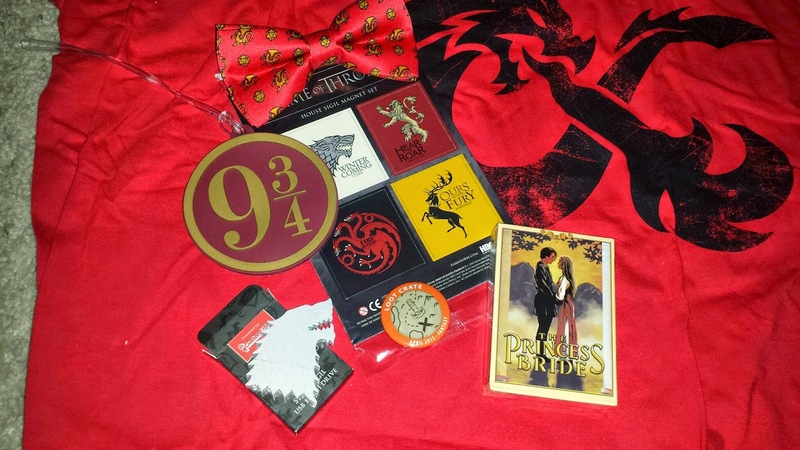 D&D Shirt with bow tie, cute little die and dragons on it. Game of Thrones magnets and USB drive. Harry Potter luggage tag. Princess bride deck of cards and a Loot Crate pin. Ferret not included, separate purchase ;) He's my Ink Heart addition, ha. My favorite part of the box- Princess Bride deck of cards. My favorite movie. These are gorgeous. This is our first month trying Loot Crate out and so I thought I'd share it's continents in a post. I was pretty excited to try it out! Overall some neat stuff, some isn't so useful but I appreciate the novel idea of each item. I decided to go with the large men's shirt as my son or Dire would probably like them a lot. This month it looks like one Dire would appreciate mostly with it being a D&D shirt. 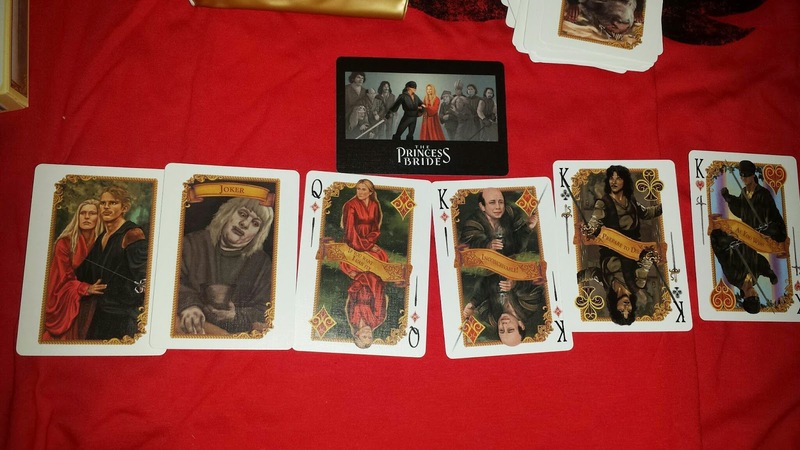 I absolutely adore the cards, for me they are entirely worth it. I just love the Princess Bride! Very nice quality cards. The USB is only about a gig, but it is pretty cool still! I think we'll go for another month and see what we end up with again. 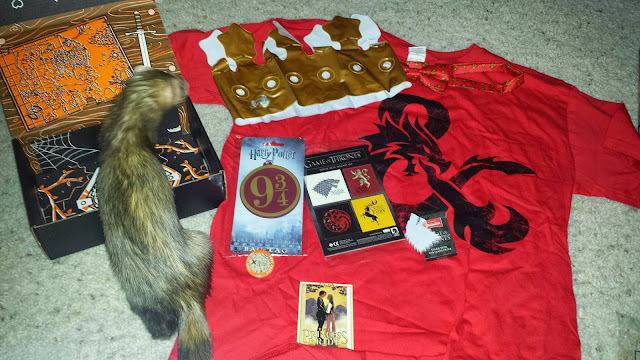 Pretty fun idea, I just had to get the Fantasy box, plus the package got here pretty quickly. Tracking works well, so you have an idea when to look out for it. I'm just worried about someone seeing the package titled Loot Crate on it and it getting stolen one of these days. Fedex leaves it with the local post office for final delivery. 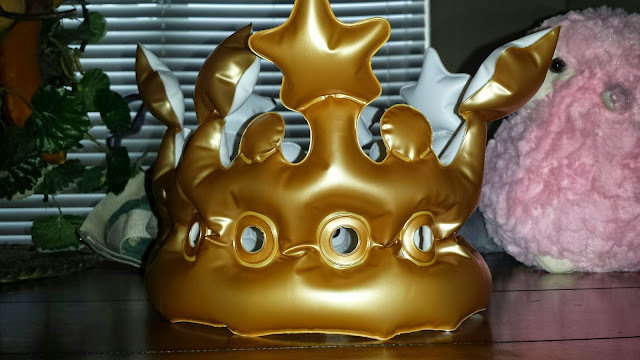 Which I have had a lot of issues with in the past. All in all pretty happy about our crate!